Inside a historic, terra-cotta roofed building on a warm summer evening, a “caller” named, Jack Cowan, speaks into a microphone, “Spin chain the gears. Half by the right, three quarters by the left. Centers trade, now turn back to left hand star.” What may sound like the instructions for a bicycle repair class, are actually the “calls” for a lively square dance. Ruffled skirts spin and flare as the dancers hands change partners, their feet pivoting in and out of line to a fun rock n’ roll beat. This is not “Line” dancing, where choreographed moves are performed by single dancers in straight lines to country western music. This is “Square” dancing—an iconic American dance form, evolved from English and French folk dancing—where four couples face each other across a square of space and dance to improvised, but precise, instructions. 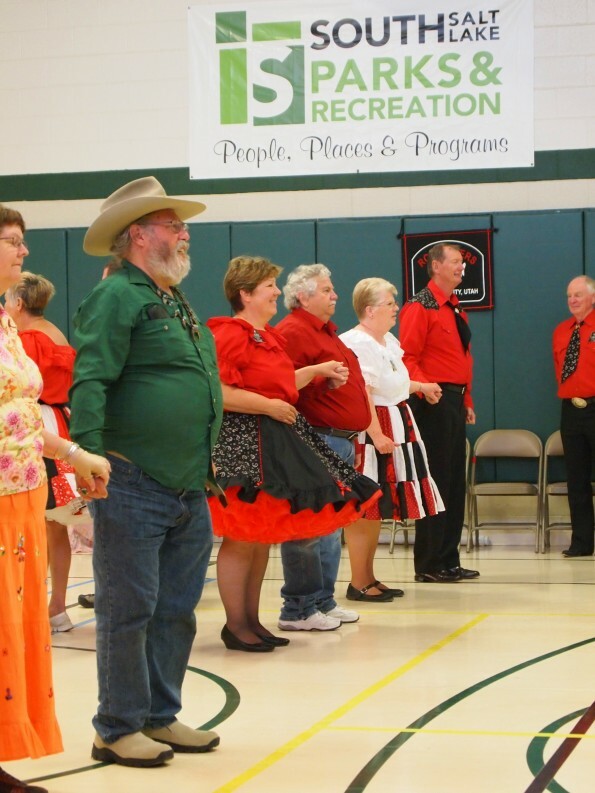 Square dancing is performed to various styles of music including surf rock, big band, rock n’ roll, even rap. It has become the official dance of nineteen states, including Utah, and there are clubs all throughout Europe, Australia, and Asia, but the calls are always in English no matter what language is being spoken. As the music ends, the dancers smile, their faces glowing more with joy than sweat, and theygive each other the traditional closing hug. “Square dancing is friendship set to music,” says Conrad Lloyd, vice-president of The Rocketeers Square Dance Club in Sugar House—a non-profit organizationwhich has been around for over fifty years. The name “Rocketeers” comes from the original location of the club, the Hercules Powder Company, which used to sell rocket fuel and gunpowder. 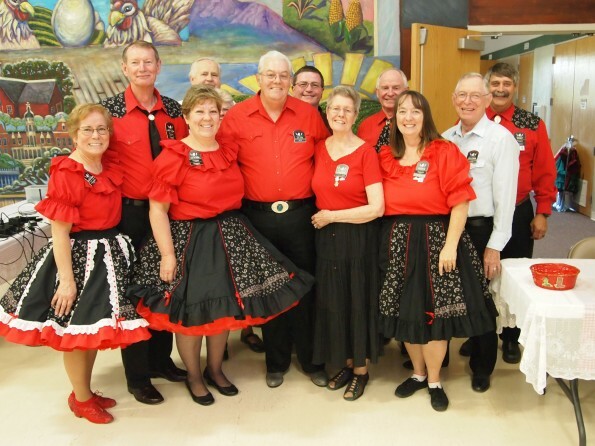 The Rocketeers is one of over eighteen square dancing clubs in the Association for Square Dance Clubs of Utah (ASDCU), spanning from Logan to St George, Heber to Tooele, and everywhere in between.Enthusiasts from all over the state and country come every Saturday night to dance, and Conrad has been one of them since 1967. “It’s like a family where you’re always welcome,” he says. Rocketeers co-president, Kim Olson, concurs, “Some of the friendliest people I’ve ever met in my life I met square dancing,” Kim, who also owns a square dancing dance clothing shop: www.promenadehomedance.com, started dancing with her husband, fellow president, Gary Olson, about seven years ago because they wanted to try something new and exciting to stay active. In just six months, they learned the steps fundamental to all square dancing, and now they share a hobby that is physically challenging, mentally stimulating, and socially engaging. “We just want everyone to experience the joy we enjoy,” she says. If you think you’d enjoy kicking up your heels to a rewarding hobby, new dancer classes begin in January at the Columbus Center, 2531 South 400 East in Salt Lake City. New dancer classes are held on Saturdays from 7:00 pm to 8:30 pm. All you need to succeed are some comfortable shoes and a positive attitude. For more information, please visit: www.rocketeerssquaredance.com or www.UTsquaredance.org.